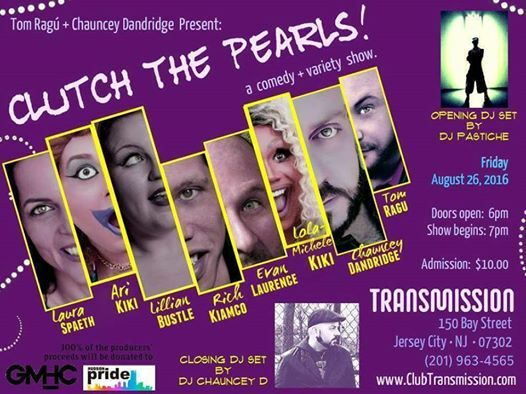 “Clutch The Pearls” Comedy/Variety Show at Transmission Jersey City Friday, August 26th! 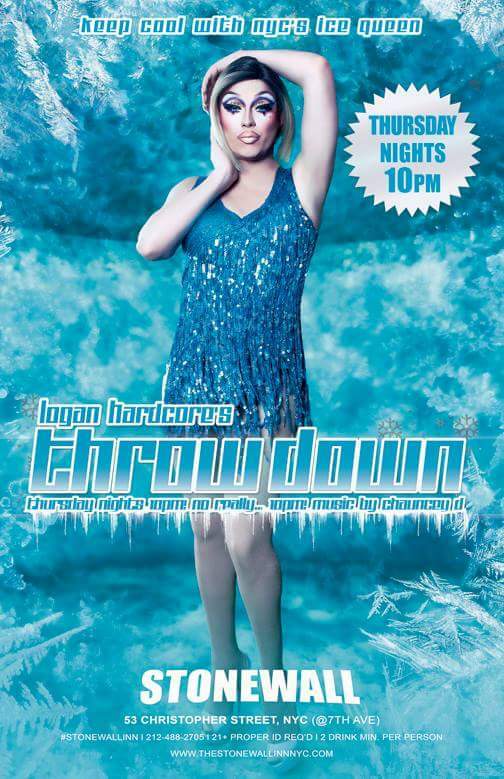 click to RSVP on Facebook! 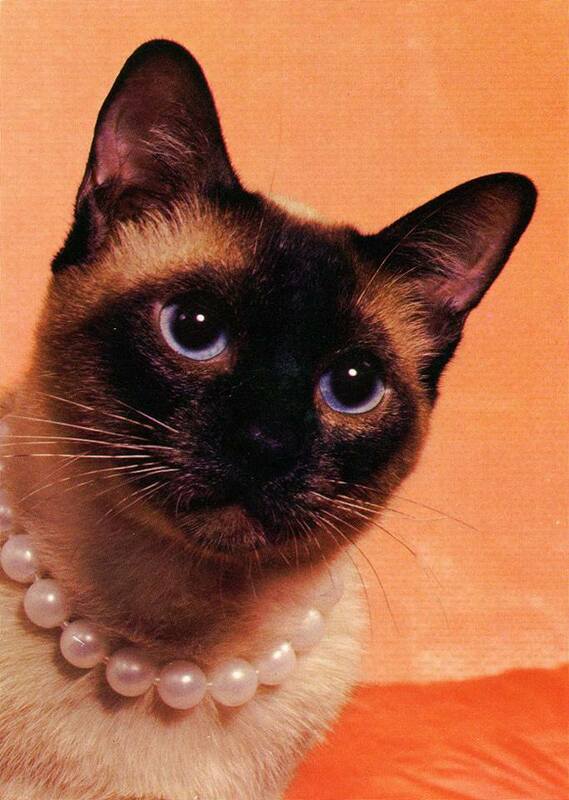 “Tom Ragú & Chauncey Dandridge Present: Clutch The Pearls! * All of the producers’ proceeds will be donated to GMHC and Hudson Pride Connections Center. 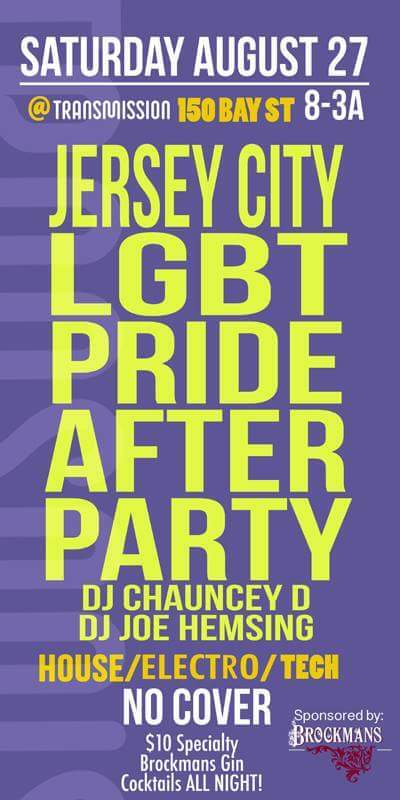 Celebrating DJ Chauncey D’s 3rd Anniversary working at Stonewall! 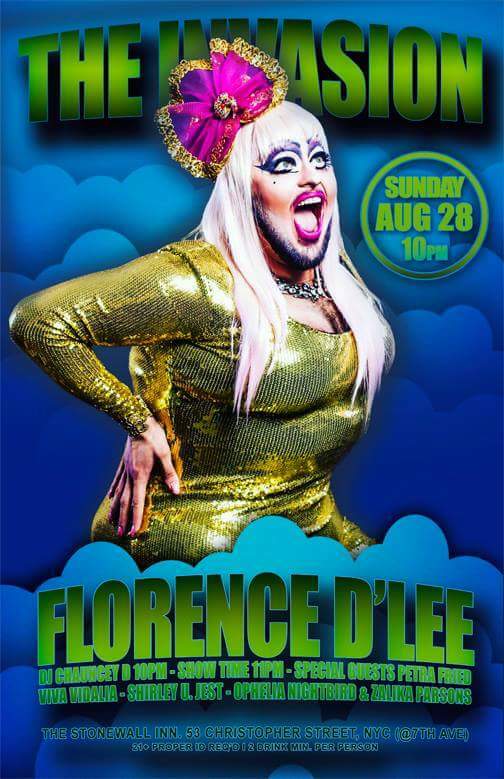 Ari Kiki Invades The Stonewall on Sunday, September 4th!